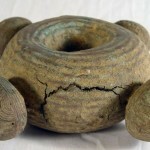 Recently, the American expert and collector of nitien – Kru or Grebo rings – Mark Clayton contacted me after having read my 2014 postings on these ritual objects. His comments warranted an update and correction of my postings dated April 7 and April 25. More specifically, the information provided concerned his discovery of a nitien on the ground of a medicine man’s hut as shown on a photo published online by the Peabody Museum of Archaeology and Ethnology of Harvard University. A cropped version of the original photo had been published in ‘Tribes of the Liberian Hinterland‘, the report of the Peabody Museum Expedition to Liberia in 1929-1930 (Cambridge, Massachusetts, USA, 1947). 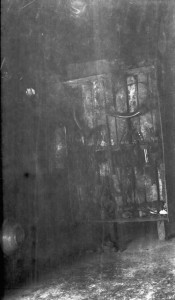 Mark Clayton spent many hours online scrutinizing the Peabody’s photo archive for evidence of a ring, and fortunately their online version of the original image – which was uncropped at the bottom – shows a much larger area of foreground than appears in the (cropped) version published in ‘Tribes of the Liberian Hinterland‘. 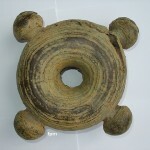 Thus Mark was able to discern a blurry knobbed-ring laying on the ground (see photo). Another nitien expert, Scott Shepperd, had previously seen only the cropped version, that’s why he did not notice the ring on the ground, because not enough of it was visible to distinguish what it was (source: email correspondence between Mark Clayton and Scott Shepperd). I don’t want readers to be misinformed or ill informed on the subject of these mysterious rings and therefore decided to correct my original postings by adding this and other new information. Another good reason for correcting my earlier postings is my wish to give Mark Clayton the credit he deserves for his important discovery. To conclude, I want to compliment the two nitien experts Mark Clayton and Scott Shepperd for their contribution to our knowledge of these objects. 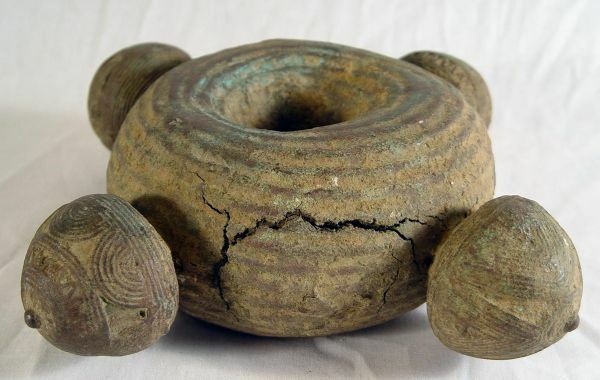 No one knows exactly the origin and history of these rings. 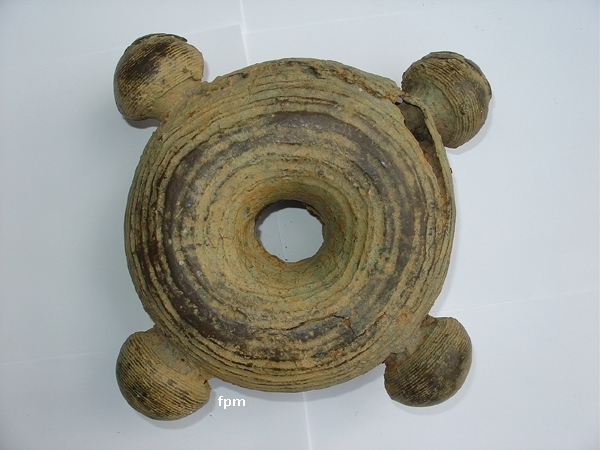 More research will be needed to disclose the lost history of these ritual objects – which only have been found in Liberia. This entry was posted in George Schwab, Grebo, Grebo rings, Harvard University, Kru, Kru money, Kru rings, Liberia, Liberian Hinterland, Liberian History, Mark Clayton, nitien, Peabody Museum, Scott Shepperd. Bookmark the permalink.